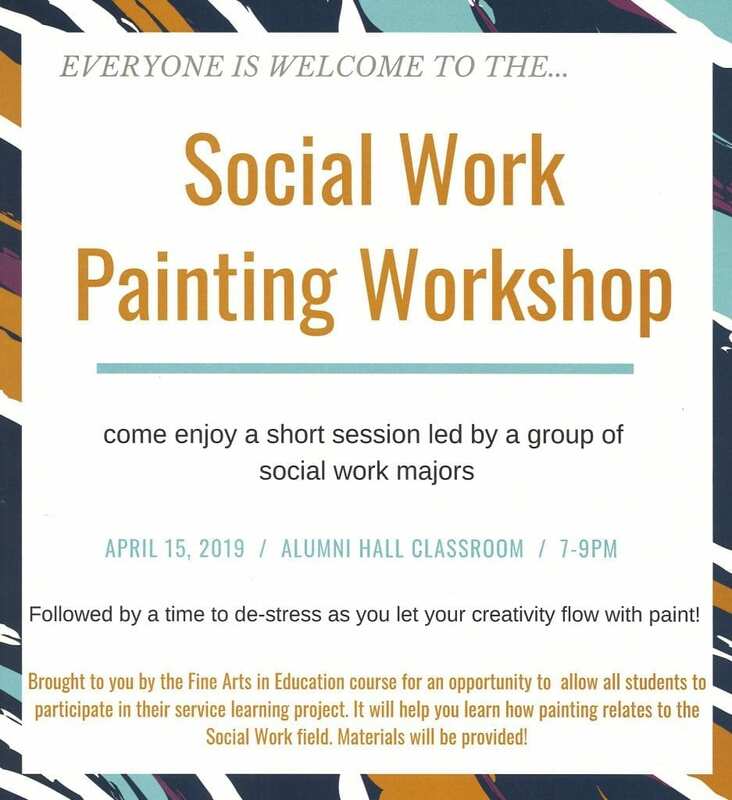 [STUDENTS ONLY] Come enjoy a short session led by a group of social work majors. It will be followed by a time to de-stress as you let your creativity flow with paint! Materials will be provided. Sponsored by the Fine Arts in Education course.